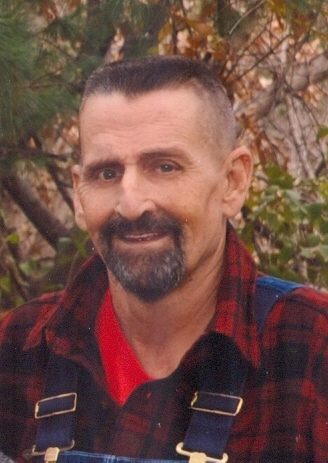 Kenneth Dale Porter, 61, of the Kansas City Northland, peacefully passed away on March 18, 2019, at St. Luke's Plaza Hospital with loved ones at his side. Visitation will be held from 6-8 pm Tuesday, March 26, at Park Lawn Northland Chapel, I-35 at State Route 291, Liberty. Private graveside services for the family will be held Wednesday, March 27, at Glenridge Cemetery in Liberty. In lieu of flowers, memorials are suggested to the St. Luke's Foundation (www.saintlukesgiving.org). Dale was born June 6, 1957, in Kansas City, MO, the eldest of three children of Kenneth and Lelia (Johnson) Porter. He was preceded in death by his father, Kenneth, and grandparents, Gertrude and Jesse Porter who were instrumental in his upbringing. Dale's career as a cement mason spanned 36 years. He often joked that he kept Carhartt and Budweiser in business! He was a member of the Cement Mason's Local 518, and Laborer Union locals 1290 and 264. He was also a member of the NRA. Dale was a man of many facets. He loved fishing and hunting. He looked forward to deer season every November and was so proud when he made it into the Missouri Big Bucks club in 2014. He also enjoyed Nascar and the NHRA and was able to attend many races throughout the years. He loved baseball as well, especially “HIS” Saint Louis Cardinals. In his later years, Dale took pride in maintaining his yard, vegetable garden, and flowers. He took pleasure in attracting birds to his yard such as purple martins, hummingbirds, and orioles. He even looked forward to hitting the estate sales with his mom, Lelia Mae. His other pastimes included watching old cowboy movies and listening to Outlaw Country on his satellite radio. Survivors include his wife and companion of 30 years, Marcy (Clemage) Porter; mother, Lelia Porter; sisters, Kelly Merchant and Kimberly Porter; nephew, Max Merchant; great nephew, Kemper Merchant; as well as other family members and many friends, including his boxer buddy Otis. The family would like to extend their gratitude to all the doctors and nurses at St. Luke’s Plaza Hospital who treated Dale over the years, especially Dr. Alba, Dr. Helzberg, and Dr. Subramanian (Superman as Dale liked to call him). Visitation will be 6-8PM, Tuesday, March 26 at Park Lawn Northland Chapel; private burial in Glenridge Cemetery. Marcy, Much love for you both, and Prayers for Peace. Great Pic, captures his orneriness. He will be greatly missed. Marcy and Porter family: Our deepest sympathy to you at this difficult time. Your hearts will heal and the memories of Dale will bring peace and joy.